Noah always knocked on Aysel’s door the same way, including the last time he knocked, five hours after his funeral. A short and sweet Halloween treat. This is a short story. You could enjoy a long coffee and the story for dessert. This story is part of the Short Paranormals collection. 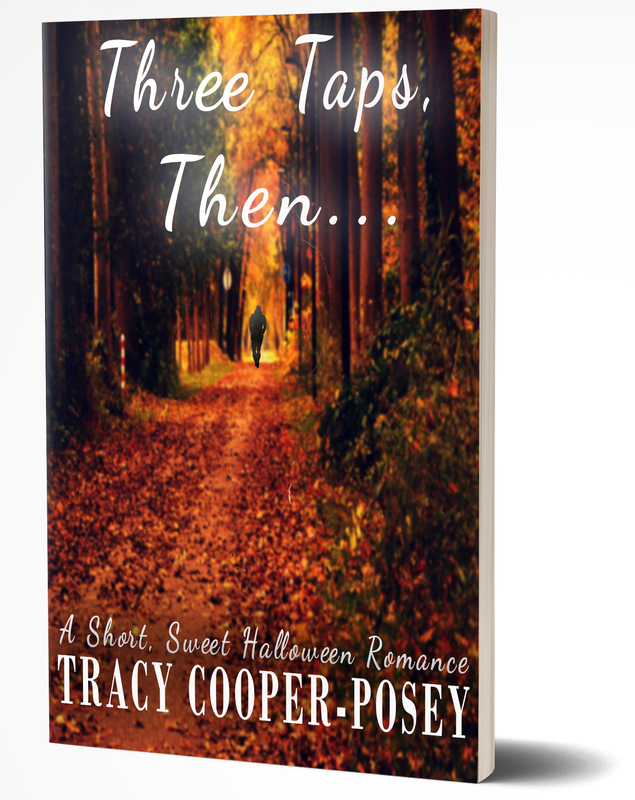 A Short, Sweet Paranormal Romance. My Heart melted (yup I’m a softy). Thank You for sharing such a Sweet Story. DOWNLOAD THREE TAPS, THEN… RIGHT NOW. She makes you feel many different emotions, but to do the same thing in a quick, short story is totally amazing to me! I loved this story! I didn’t want it to end. It was so heartwarming I wanted to cry then laugh. Can’t water to read more from Tracy Cooper Posey. She is great!! I am of an age to remember those sweet short True Romance stories in magazines. I was a pre-teen, just dying for the next offering. That is how Tracy's Three Taps grabbed me! I read it so fast that I wanted another to follow! Thank you Tracy for that same long ago expierence; In my eyes you are a super star at writing!!! Aww, talk about a warm, wonderful, feel-good story. What a lovely twist at the end. Romance lives on. A real tribute to the saying, it ain't over 'till it's over. Tracy's story lines are as vivid a if they were painted with a brush. This book is no exception. It was a dear, sweet, lovely story that I enjoyed very much. It is a simple, romantic, yet unsettling reminder that we should stop wasting time and get about the business of living...and loving. A really short story, but well crafted. I really liked the idea that the hero came back to open her eyes. Enjoyable rad. I loved the Halloween twist to this story too.